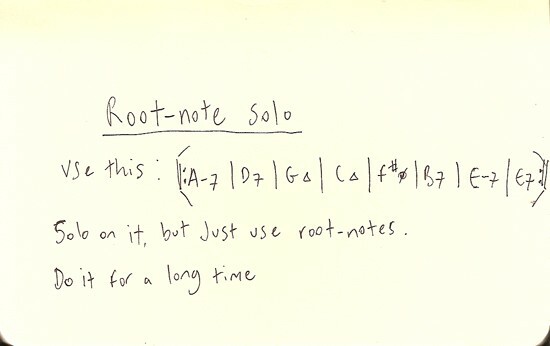 The idea is to solo over the chord progression above but you’re only allowed to use the root notes of each chord. Only play ‘A’ on the A-7 chord, and so on. You can use whatever As there are on your instrument. If your improvising sounds boring then that’s your fault. It’s your imagination that needs work. Another little reminder that the material is not the music.